Freestanding hobs are a godsend in any number of scenarios, from school application to private kitchens of an especially small size. The functionality they offer the casual consumer is also pretty promising, especially when it comes to ranges with a staggering amount of flexibility. Bosch hobs are once again one of the leading companies in this lucrative field, with an incredibly expansive range of Hobs suitable for any possible situation. Their range of Induction Hobs, for example, cut down cooking time exponentially. 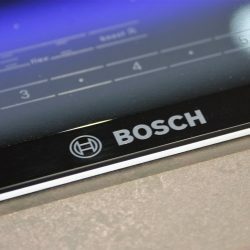 According to their own website, Bosch hobs can bring 2L of water to a boil twice as fast as other conventional ceramic hobs available on the market. They also consume far less fuel, too! Their Electric Hobs are nothing to sniff at, either, with the added TouchControl functionality that allows the user perfect control over their meal being an especially interesting feature. Well, that and the serious amount of space they save, and how incredibly stylish they are; much like the Induction Hobs, their Electric Hobs feature stark, minimalist designs with bold lines that are not only indicative of their functionality, but also bring a real air of the modern into any kitchen setting. However, don’t despair; if you’re looking for a classic Gas Hob, Bosch has you covered there too, with a wide range of Gas Hobs that are as simple, elegant, and functional as their Electric and Induction options. Perhaps the most incredible form of hob Bosch offers is their Domino Hob. What exactly is the Domino Hob? Well, it’s whatever the customer wants it to be; the range features a number of different varieties of hob, from your bog standard Gas and Induction hobs to your more exotic Teppanyaki Hob’s and Wok Burners, that can be combined in any configuration desired by the customer. Available in 30cm or 40cm widths, the individual Hobs can be places next to each other or, in kitchens with an Island setup, can be placed opposite each other.